We were so excited to be part of this gorgeous SURPRISE birthday celebration for one of our grooms. 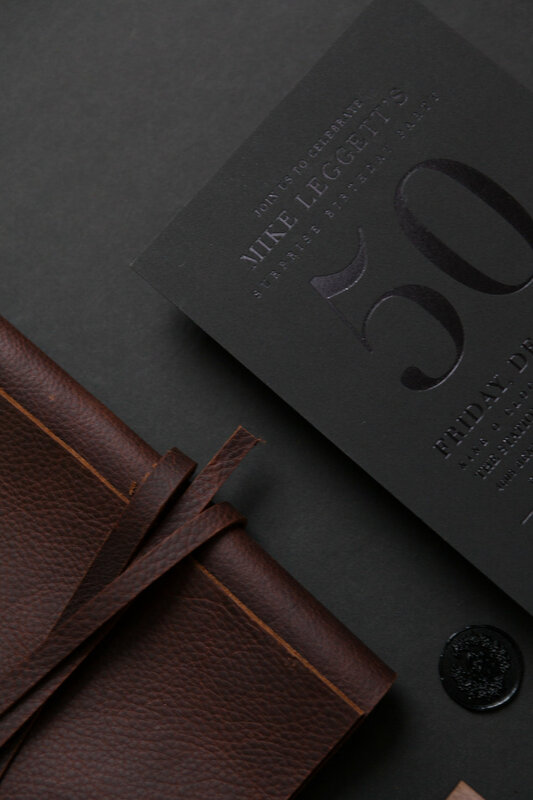 This beautiful laser-cut invitation was set in a wooden box, wrapped in cognac leather, with a bottle of whiskey. The birthday celebration was a series of events, so we had a letterpressed accordion details card that provided information on which events were where and what to expect. It was such an exciting project from our usual wedding invitations.